Homeowners who need work done by contractors should take certain steps to avoid contractor fraud. The rule of thumb is to research the contractors you plan to hire, but these other tips will help ensure that your rights are respected. A savvy homeowner avoids contractor fraud. Part of your research for your home improvement or repair job should include having multiple contractors estimate how much the job would cost. These bids or second opinions can often reveal if one contractor is a fraud or not. Also, be sure to never pay for an estimate. Caution: Watch out for “deals” following a natural disaster. This can be code for a fraudulent contractor. An easy way to protect your home and interests is to work with a local and well-known contractor. This cuts down on shady business. After natural disasters, some people try to capitalize on the situation and participate in contractor fraud. Caution: Door-to-door contractors with unmarked vehicles and out-of-state plates could be out to just take your money. Legitimate contractors follow the law, which obligates them to have licenses and proof of insurance for their business and employees. It’s acceptable for home owners to ask to see both licenses and insurance proof. If your contractor uses sub-contractors, check their licenses and insurance as well. Caution: Check the contractor, business, and license numbers out on the Better Business Bureau to verify the information. Businesses and contractors set themselves apart by branding themselves. This often can mean a truck with a logo as well as business cards. A number of items can help show that the business is legitimate. Caution: Check the legitimacy of every contractor. To ensure that the work you want gets done, you should have it written into the contract. Sign the contract before the work is started. It is appropriate for you to request time to review the contract before signing it. Caution: Don’t sign a contract that has been handwritten. If a contractor tries to get you to pay more than 20% of the final cost, you should refuse. By law, contractors cannot charge more than 20% or more than $1,000. While a deposit is normal, requesting full payment upfront is not. Caution: If a contractor insists the cost has gone up due to a problem, only pay 20% of the total. Cash can’t be tracked quite like a debit or credit card payment. Although you may be comfortable paying with a check, a credit card is your best option since it comes with fraud protection. A contractor who will only accept cash may be trying to evade taxes or avoid buying insurance. Caution: If the payment for the contractor is coming as a check from the policyholders, hold on to the check until the work is completed. Check your insurance policy to see if your insurer will cover the work for repairs. Having an adjuster check over the work that needs to be completed will help determine the cost of the work. This gives you more leverage in negotiations. Caution: Have an adjuster inspect the damage to be done before the work starts so your insurance claim isn’t denied. At the end of a job, the contractor wants you to sign the certificate of job completion. However, you should be sure to have the work inspected before you sign. If you experienced any problems with the contractor, you want to make sure that the work has been done to your satisfaction and meets the contracted agreement. Caution: A contractor might try to accuse you of not signing the certificate of job completion so you don’t have to complete the final payment. 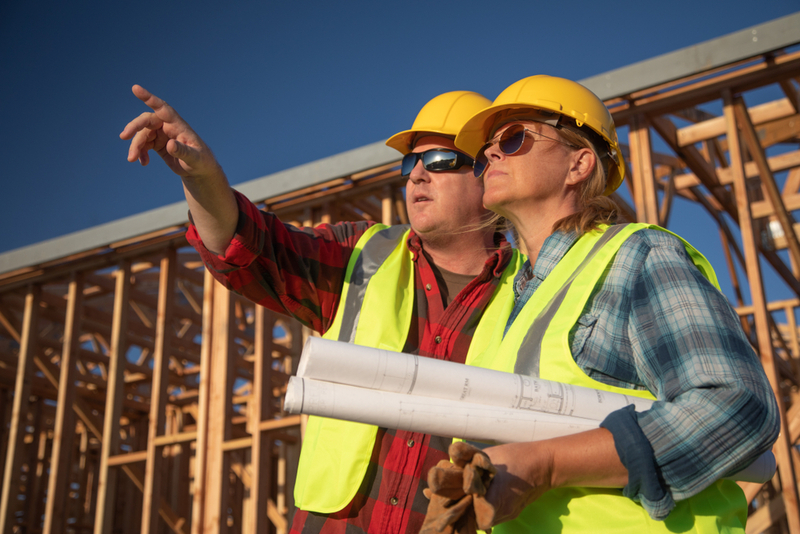 If a contractor takes advantage of you, whether demanding more money than the original deposit or not completing the work according to the contract, the HICPA outlines protections for you. Don’t just sign off on bad work. Fight back. Reach out to the Better Business Bureau, Pennsylvania’s insurance fraud bureau, or the state insurance commissioner. Caution: Keep all information that you have on the contractor just in case they try to disappear. Sometimes when you’ve had an awful experience with a contractor, you just want to be done with the situation yourself. One of the best ways to fight back against contractor fraud is to consult and hire a lawyer for your situation. A lawyer recognizes your best legal options for contractor issues.